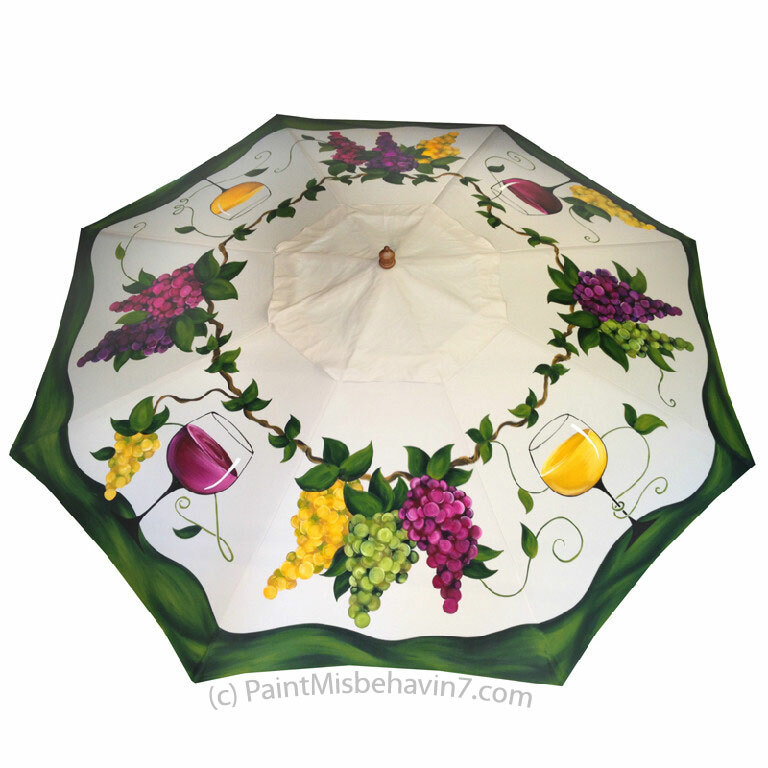 Northern California artist, Suzi Thomas, hand paints original design paintings on patio umbrellas. This one entitled “Grapes and Glasses” is delightfully painted in bright colors with depth and dimension, and would enliven any patio. …it all comes together in the designing and painting of large garden umbrellas and playful accessories for fashion, beach, garden, and travel. This work is the culmination of all my skills and joys converging to produce the work of which I am most proud. View more of her lovely garden umbrellas via her online gallery.